Your drivers are the face of your business. And, any mishaps that happen due to your drivers or to them can jeopardize your business. If they do not reach your customers on time because of bad weather or sunrise/sunset issues, it will annoy the customers. If the bad weather causes your drivers to end up in accidents, imagine how many hassles and additional expenses you will have to incur due to legal, medical or maintenance issues. 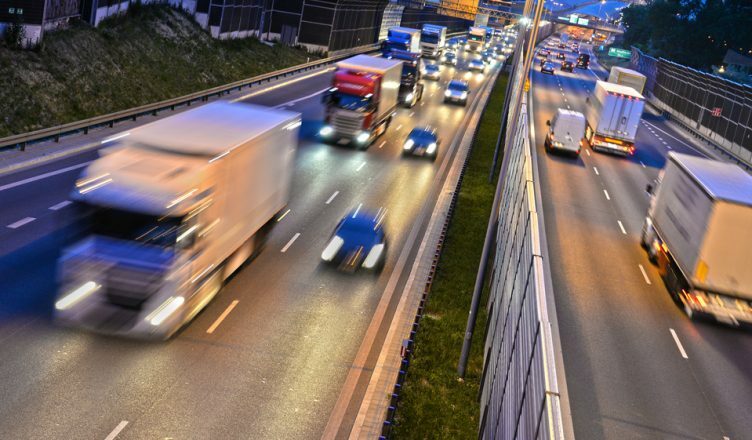 So, in this article we will discuss the effects sunrise and sunset have on driving and how routing optimization software can ensure driver safety. During heavy rainfall, the vehicle just ahead of yours generates a considerable amount of spray which reduces visibility and makes it challenging to drive safely. Surface water might contain hidden objects that could damage your tires or cause you to stall. Strong wind often results in less control on the steering. Wet road surfaces can cause tires to skid. More time and space are required to bring a vehicle to a full stop during bad weather conditions. Crosswinds may cause a vehicle to skid. A cloud of sand can also reduce visibility. There could also be some unique risks, such as that a sudden gust of wind may affect a vehicle passing through ravines, mountains, bridges or culverts. Drivers cannot know what kind of risks is waiting for them on the next move and these could prove fatal. Well… even if you look at the following map, you will see that climates do not remain the same across all regions of the U.S. during the summer or winter seasons. So, if your clients are spread out across many cities or states, then ensuring driver safety during bad weather conditions could be a Herculean task for you. Before a sunset and at sunrise, the sun shines directly in the drivers’ eyes which cause them to drive with a glare. This often makes it difficult for them to see the road ahead and spot probable threats. During dusk and dawn, the visibility becomes poor, the natural light is reduced, and the headlights are not 100% effective, as it is not dark enough. Driving during these times is often associated with tiredness. For example, when the sun rises, the drivers might already have driven through the night and, when the sun sets, they might be returning from a hard day of work. By that time, the drivers might be exhausted and this can lead to road mishaps. The road remains darker with deep shadows and there is less contrast in the colors, even though the sky may still be light. The driver’s eyes needs to adapt to the changing level of brightness, which makes it difficult to recognize threats to his or her safety. Do you think it would be safe for your drivers to drive during a sunrise or sunset? So, what is the solution to these problems? Planning routes in such a way that the drivers do not need to face these conditions at all (or minimize their exposure). The first option would cost your business a lot and is not even a 100% foolproof solution to the problem. No matter how much training you impart, it can only minimize the probability of mishaps and cannot ensure absolute safety. However, the second solution is cost effective and leads to very low chances of accidents and related expenses. It also makes you free of any such worries. Do you think you can plan such routes with pen and paper? RELATED: Are You Still Planning Driving Routes Without Software? How would you know which areas would experience bad weather conditions in a couple of hours? How can you be sure what time to expect a sunrise or sunset for a certain area for which you plan to make routes? If you have an experienced driver who follows the same routes for months and years, it might not be a matter of concern. But, that is impossible with new drivers as they will not know when the sun rises or sets. Also, you cannot know about such times if you are also unfamiliar with an area. This further holds true for multiple drivers who cover multiple routes. However, there is a simple solution and that too without a significant amount of effort, as it can be done within a minute. And that is vehicle route planning software. These features would automatically factor in the weather as well as the sunrise and sunset times for your specific area, while planning routes so you don’t need to worry about this yourself. And, it does all of this with 100% accuracy. But, you do not need to search any further than Route4Me to find a planning and routing software with such features as you get everything under one umbrella with this route optimization software. 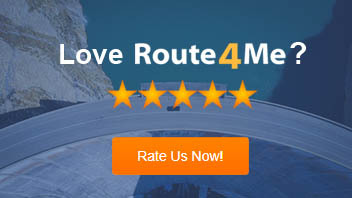 So, let us now consider how Route4Me helps you here. The biggest advantage of this feature is that you really do not have to do anything. When a user plans a new route, the software looks at the geographic region and route date. And then it uses the anticipated rain or snow conditions for that area and date. 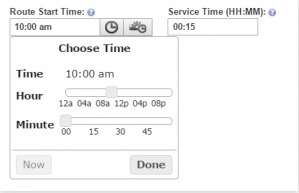 Depending on the severity, the software makes suggestions for adjusting the service time or reducing the travel time speed. It also checks the weather forecast in the geographic vicinity of the route on the date on which the route will be driven automatically. And suggests the travel and service time coefficient to slow down the times based on the severity of the anticipated weather conditions. But, how can you set up a weather-related travel coefficient? The next section will explain this. Route4Me integrates with notification services to estimate your route duration accurately based on weather events. So, you can randomly set a weather-related travel coefficient and service time. The feature is activated automatically whenever the geocoding process is completed for a set of addresses (regardless of the selected option for adding the addresses) if there is a bad or severe weather notification for the area in which a driver will drive. If you want to adjust the service and travel times, just add a slowdown coefficient. You can do this by clicking on the slowdown drop down menu and then indicating a custom value or choosing one of the predefined values. You can then hit the “Apply Changes” button when you are done. You can even discard the weather notifications by clicking on “Skip/Continue”. It is that simple, quick, easy, and effortless! This feature enables you to set the route duration until sunset and sunrise with ease. 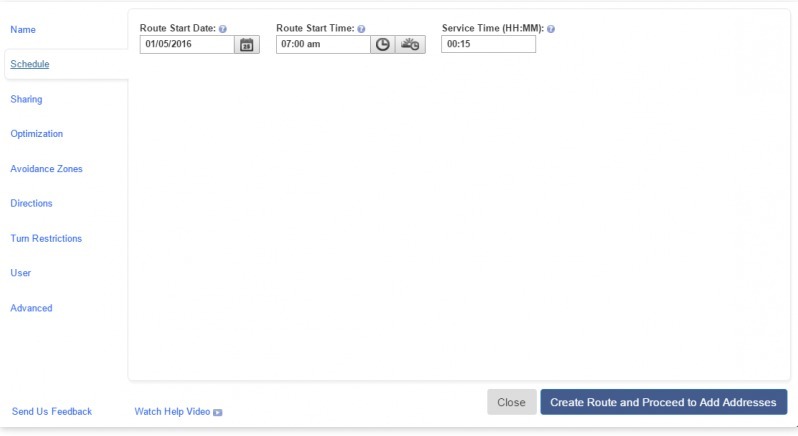 You can access the feature in the route editor and can do it while scheduling the route itself. Step 1: Click on the “Schedule” tab. Step 2: Select the route start date and time. Step 3: You will see a small button with a sun icon and a clock. Click on it and key in the zip code. It will then calculate and optimize the routes automatically so that the drivers do not need to drive in that area during sunrise and sunset. So, how do you manage driver safety during bad weather conditions or during a sunrise and sunset? Do you have any questions? 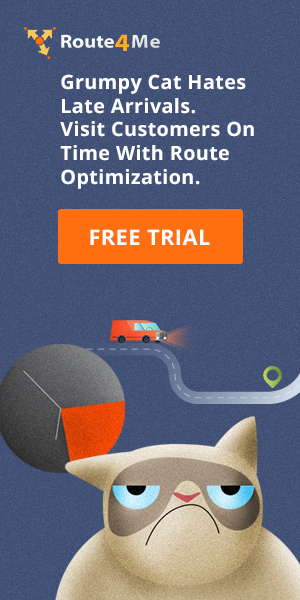 Have you used routing optimization software? Please feel free to leave your comments below, we’d love to hear from you.